When you think of the "Piano Man" you surely think of Billy Joel. Lately, Joel has been spending time performing multiple shows at Madison Square Garden, letting the audience come to him. His time spent on the East Coast is totally up to him, as he's got nothing more to prove. Still, we have a great show announcement for his fans. Billy Joel comes to Miller Park on April 26, one night, his only show in the Midwest as of this post. He's sure to play all the hits, seeing that he's go so many of them. Going back to 1973, when he first released "Piano Man," he also performed the song Ballad of Billy the Kid, and You're My Home. 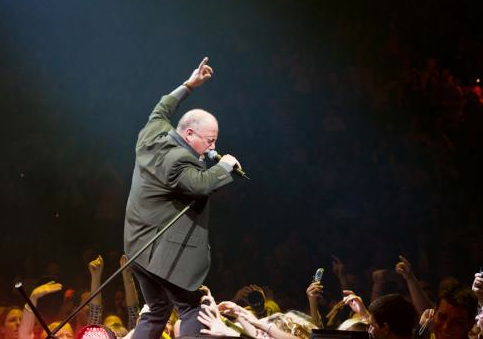 Get your Billy Joel Milwaukee tickets right here. A few years later, he found success with Angry Young Man, New York State of Mind, and Movin' Out. His first number one song didn't come along for nearly ten years. When the eighties came around, Joel changed with the times, and put out some solid pop songs like Allentown, Keeping the Faith, Don't Ask Me Why, and Uptown Girl. It's been almost thirty years since he's produced a hit song, but nothing is stopping Mr. Billy Joel from riding the wave of nostalgia and memories.